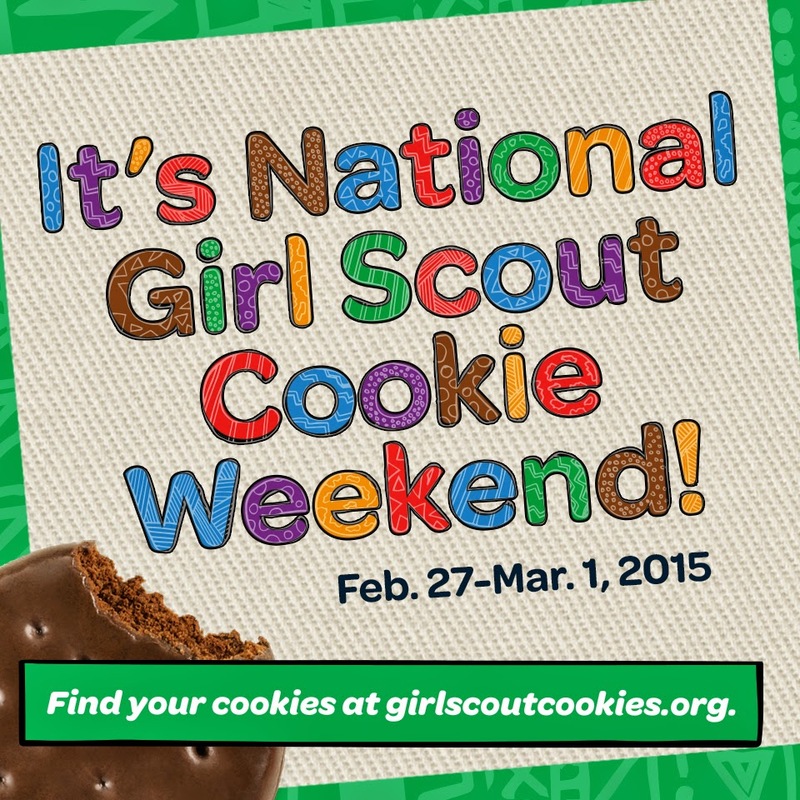 National Girl Scout Cookie Weekend is February 27th through March 1st! Earn your World Thinking Day Award by exploring this year’s theme, “Create Peace through Partnerships!” Girl Scouts of all ages can participate in World Thinking Day. Share your #guidinglight. This year, Girl Scouts and Girl Guides will light up social media with the glow of thousands of candles on World Thinking Day. So how can you participate? Light a candle and take a selfie. Post it to social media using the hashtag #guidinglight. Include a message that inspires others to do the same. And don’t forget to tag @gsnc, @girlscouts and any other friends who might want to join! GSNC has hundreds of community partners, including every public school district, most private and religious schools, local colleges and universities, other not-for-profit organizations, as well as government and corporate supporters and many small businesses. This is the first in a series of articles that will focus on some of our partner organizations. Girl Scouts of Nassau County is proud to partner with Hofstra University and is grateful to its leadership for its support. Among GSNC’s many supporters is Melissa Connolly, Hofstra Vice President for University Relations, a past member of the Board of Directors of GSNC, and a Thanks Badge recipient. Ms. Connolly remains an outstanding advocate and fundraiser for Girl Scouting. 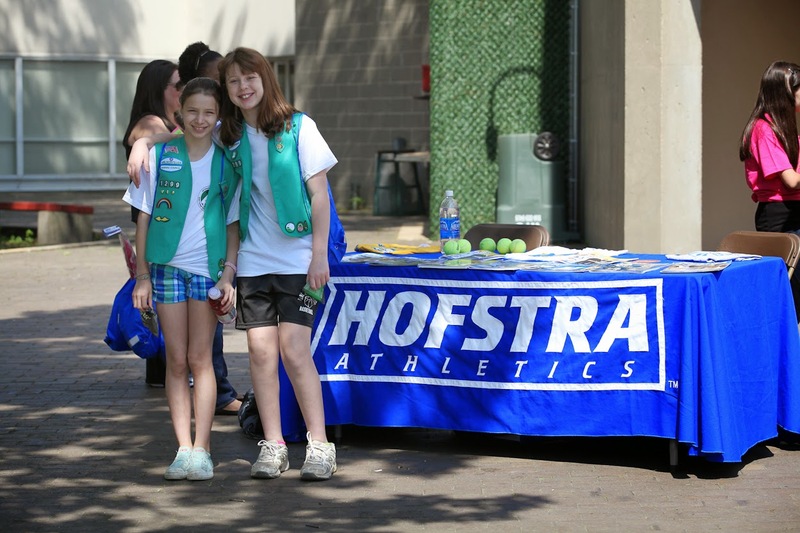 Hofstra partners with GSNC in numerous ways, from sponsoring our Annual Girls Go the Distance Walkathon and Activity Fair, serving as our summer "bus depot" for our girls leaving and returning from Camp Blue Bay, providing interns, and sharing many opportunities on their campus. Hofstra is a strong supporter of GSNC STEM (Science, Technology, Engineering and Math) programs. under the faculty guidance of Assistant Professor Scott T. Lefurgy, Ph.D. These programs, advertised annually in GSNC's Possibilities, help us bring science to life for our girls. Many of these programs are typically filled to capacity. In October 2014 Hofstra partnered with GSNC to present our first "Imagine Your Possibilities -STEM Conference” for girls. Led by Asst. Professor of Chemistry Emily C. Mundorff, PhD, and held on campus at Hofstra, the conference attracted 100 girls, over 50 parents and 30 STEM professionals, both women and men who generously shared their knowledge and experience with our girls. Hofstra’s in-kind donation of labs, classrooms, auditoriums, their faculty and their student volunteers was truly priceless and without their support this Conference would not have happened. In addition to their work with GSNC, this year Dr. Dave Burghardt, founder and co-director of Hofstra’s Center for STEM Research, was awarded a $2.5 million grant from the National Science Foundation for a five-year project that will introduce more than 6,000 middle-school students to STEM learning through hands-on opportunities at 25 regional Boys & Girls Clubs. Recently GSNC and Hofstra have partnered with the Cedarmore Corporation to present Girlz Talk, a day of workshops for girls focusing on leadership and critical issues girls face today. Hofstra not only partners with GSNC, they are leaders in philanthropy, community service and community engagement for Long Island and the Greater NY region. All freshmen are encouraged to sign-up for an opportunity to give back to the community thru five days of service before school begins. Once classes are underway, students continue to contribute to local and global needs through activities from food and toy drives, to community clean-ups, to alternative spring break options where students can travel to serve others in need. Members throughout the community are invited to participate in free lectures, and to attend music and theatre performances, sporting events and other activities held at Hofstra. At Hofstra, the opportunities to better oneself, give back to the community and get involved in something bigger than you can imagine are available everywhere you turn, and the amount of possibilities for students and volunteers keeps increasing each year! Girl Scouts is proud to be part of Hofstra's tradition of giving! Are you looking for something to give to your Valentine? You probably want it to be something cute, unique and thoughtful. Why not make some Heart SWAPS to give to your Valentines? Whether they are your friends, your family, or that special someone in your life, SWAPS are Special Whatchamacallits from the heart. Don’t forget to print out your Girl Scout Valentine’s Day cards to go with your SWAPS! Cut heart shape out of the red fun foam. Cut smaller heart shape out of the white fun foam and glue in the center of the red heart. Make holes around the outside of the red heart with the hole punch. Run a piece of ribbon through the holes and tie a bow at the top. Attach safety pin.